Komatsu is located in southwestern Japan in Ishikawa prefecture. It is bordered by the Sea of Japan to the east and Fukui prefecture to the south, providing stunning natural views. 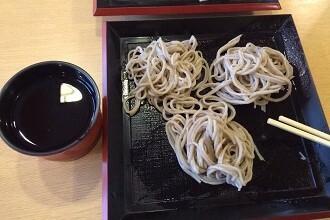 Yunokuni no Mori, a traditional arts and crafts “theme park,” offers tourists a chance to watch glassware being created, eat dorayaki (a traditional dessert made of pancakes and bean paste), make soba noodle and much more. During autumn, Komatsu offers visitors a chance to see the beautiful Natadera Temple. The Natadera Temple is meant for worshipping nature. In the Edo era, the master haiku poet Matsuo Basho wrote about his visit to this temple. The lush forestry around the temple changes colors in the fall season to vibrant reds and yellows. Komatsu is home to the Otabi (travel) festival. It occurs every May over several days and dates back 340 years. Children, after preparing well in-advance, perform Kabuki performances on wheeled floats. For more information about schools in AEON’s Chubu area click here. What kinds of activities do you do with your students? I have been to so many cool places and done so many cool things with my students. In the winter, we often go snowboarding, in the spring, cherry blossom parties are great, in the summer, we often barbecue, and in the fall there is great hiking all around Japan. If I need help, I turn to my friends, my staff, my students, or my international center. If I ever need anything, I have a number of people I could call and get help with. Please describe one of your travels. For my first vacation, I was with an old friend, my sister, and her husband. We went to Nagano, Tokyo, Kyoto, Nara, and Osaka. This was my first adventure outside of Nagoya and Komatsu, and it was an absolute blast. I was able to visit most of the places on my Japan’s “to see” list on my first vacation. From Shinjuku in Tokyo to the big Buddha in Nara, it was fantastic.